Before Skull Kid could finish what he was saying, Link was already walking in the direction of the village. Without saying a thing he walked through the trees and gazed upon his old house, standing in the middle of the little village. Skull Kid crept behind Link, nervous. It felt like all eyes were on him, and they were. Skull Kids never left the Lost Woods. Supposedly it was because they were so upset with their looks, but honestly, Skull Kid didn't remember what he looked like before becoming a Skull Kid. In fact, he didn't remember anything from before he was in Termina, and then he'd been a Skull Kid. It never occurred to him that he might have once been human like Link. But those eyes watching him... "They're staring," he said quietly to Link. Tatl overheard this and angrily flew into the nearest Kokiri's face. "What're you looking at, huh?" she snapped, making that particular kid scurry off in fear. She swooped in on another Kokiri. "Huh? Huh?" She put her hands on her tiny hips. "It's not polite to stare, ya little jerks!" Tael watched his surroundings carefully, taking note of everyone's staring. This is why his sister and he had become friends with Skull Kid, because everyone else was too mean too. He ducked behind Skull Kid, his usual hiding spot, waiting for them to pass the area. 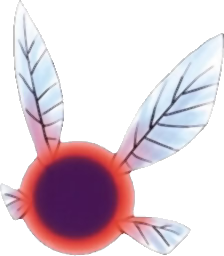 "I know there are several locations to find her," Navi responded, "but over time those locations have been blocked, so I erased them from my memory. Perhaps that mask will be useful in finding where one is now, but we'll have to hope it isn't blocked off to the point a human couldn't open it back up." Kafei took off his mask exclaiming. "Well it seems like we have a plan now, I'll put on my Great Fairy mask for now until we find a location... Do you have any suggested towns to look in first?" As he was thinking to himself a quick flashback of anju made him feel empty inside. "Why... Why did this happen to you my love... haven't we gone though enough? It doesn't matter what it takes I'll wake you up if its the last thing I do..."
After being in a daze for a few tatl's yelling snapped him back like navi. "Huh huh!? Oh I'm sorry its just been so long since I've been here... Don't worry about it skull kid they just haven't seen a skull kid out of the lost woods before." Link then looked around and shouted "Friends of Kokiri! Skull Kid is a friend of mine there is no need to fear him!" 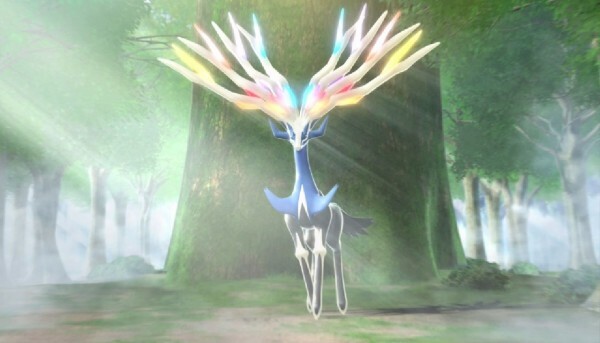 He then approaches a kokiri nearby and polity asks "Have you seen navi around here while I've been gone?" "Tatl! Calm down!" the Skull Kid cried in surprise. He hadn't expected her to react like that. Well, it was a possibility, but he figured she would stay quiet because of the rest of the fairies in this place. When she didn't listen to him, he reached out and plucked her from the air and held on to her tightly, even as she squirmed to get away and go back to shouting insults at the Kokiri. "Lemme go! Lemme go!" Tatl shouted, struggling to get out of the Skull Kid's hands, but after a few seconds, she gave up. "Bunch of jerks," she muttered. Her outburst had been meant to chase the Kokiri away, but it had the opposite effect by actually attracting more attention to their group. 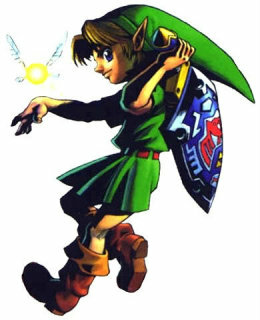 The Kokiri, however, seemed to take what Link said to heart. The one Link spoke to, shook his head. "No. Haven't seen any fairies named Navi." They all remembered Link's quest for a fairy they had never met and had kept an eye out, but not even their own guardian fairies had seen her of late. "No luck in the forest?" Tael moved a little back from the group, not comfortable with all of the children and fairies that were suddenly around them. He was always skittish, no matter how nice the people were. He found himself drifting into Link's hat to hide. "Why don't we look in castle town? I could have sworn there was one somewhere around there. It's hard for me to remember, but I'm semi-positive," Navi said in thought, "if not there, you can always ask people around town if they know anything about strange entrances of the sort." She suggested. Link frowned not realizing how much time has passed since he left to first look for navi. "Nope there was no sign of her in the forest. How long has it been since I left?" "Alright sounds good navi lets head over to the castle town now. I need some supplies anyway its been so long since I was able to relax." The Kokiri frowned a moment. "A few days? Definitely not more than a week." "Would it have been three days?" Tatl asked, raising a little eyebrow. Link and she had been repeating the same three days over and over again in Termina, and though she'd lost count of how many times they'd restarted, she did know that it totaled far more than a week. "I think more like four. Maybe five. It wasn't that long ago." "We can always ask people around who live around here. Mainly shop owners!" Kafei followed navi in and was stunned by how big the market was with all the different vendors. He walked around asking anyone if they had heard anything about a great fairy and nobody seemed to know anything. He browsed the mask shop and even saw a Keaton mask for sale. He pondered to himself. "Hmm it seems nobody knows what we're even talking about..."
Walking back out something catches his eye that causes him to freeze for a moment ignoring the "HEY LISTEN"(s) from navi. Right in front of his eyes he saw a women that looked exactly like Anju from her clothes to her smile. "How... How can it be? How is Anju here in this world?" Thinking the girl was his Anju He ran screaming and tears falling from his cheeks "ANJU ANJU I'm here I'm right here its Kafei!" To his dismay the girl stared at him and shouted "I don't know who you get away!" Kafei tripped as he heard those words snapping back that his Anju was still asleep and she needed him. As he smacked the ground he regained himself and said to navi "Sorry, she is the one I'm searching for." He pulled out his Great Fairy mask and felt a pull towards the castle. "I'm getting a feeling from the castle lets go." "Get a grip of yourself Kafei... one more outburst like that and you'll blow it!" "Only five days have passed? It sure felt like more have passed oh well I guess that's what time travel does to you..."
"Alright thank you for your help I think we're going to get a move on. Everyone lets get going, I think we should stop by lon lon ranch I'm sure epona would like to see Malon after that ordeal." As they walked outside Link played epona's song as she approached scared at first by seeing skull kid again. "Don't worry girl their with me now." "Though skull kid would you mind apologizing to epona she still feels afraid of you for what you did..."
The Skull Kid bowed so low, his hat almost fell off. "I'm very sorry Miss Epona. It was very stupid of me and I swear I'll never do it again." The horse seemed pacified and allowed the Skull Kid to pat her on the nose. "Think we both can right her? Or would I be too heavy?" "If that horse can carry Link with all the junk he carries around with him, I'm sure she can carry you both when his pockets are empty," Tatl said, a small smirk on her face. "Although it was Skull Kid's idea, Tatl and I were the ones who actually scared her," He recalled, "so I'm sorry for spooking you. I know how terrible being spooked is." He then flew up, settling in Epona's mane. Link smiled. "Well thank you both. Epona is no longer afraid of you, and of course you can ride on her with me there's plenty of room! Where we go is up to you guys. I haven't been to lon lon ranch in a long time and i'm sure epona would like to see Malon, but we could take care of that after going to castle town for some supplies." "Good point thank you for the tip." As he climbed the vines. "The whole reason I'm here is because some extremly close to me has fallen under a spell and won't wake up. (Kafei didn't want navi to know he was married to her) My journey to find a way to wake her up has lead me here. That Women looked exactly like her..."
"But didn't you stock up before we left clock town?" Tatl asked, resting on Link's shoulder. She watched in mild amusement as the Skull Kid clumsily scrambled up on Epona's back. Without the Majora's Mask, he'd returned to his same old awkward self. "Well, which is closer?" the Skull Kid asked, once he was on Epona's back. It was a good thing the horse was so mild-mannered, or else he'd never have been able to get on. "I vote we go to the closest one so we don't have to backtrack." "I-isn't castle town full of people?" Tael stuttered before burying himself deeper into the mane, "oh my..."
Navi listened, but kept her wits high, "You can cross the top of this gate, but you'll have to be careful, there's a guard. If we can manage to sneak past the guards, we should be able to find it. 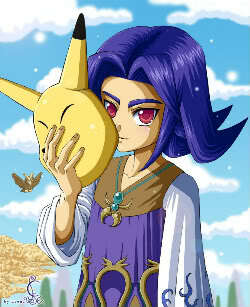 Do you sense anything with the great fairy mask yet?" She asked, scanning the area around her. "Oh, stop being such a chicken, Tael," Tatl scolded. "They won't bother us. We've got Link. Besides, if you get scared, you can always hide in his hat." 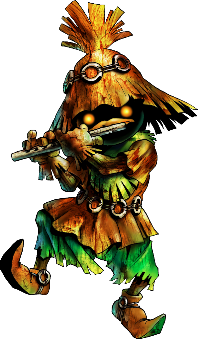 The idea of a lot of people unsettled the Skull Kid as well. Though he'd been friends briefly with the children of Clock Town, most of the adults hadn't been particularly fond of him. Even before he had started causing trouble. When he'd said whichever, the thought of crowds hadn't occurred to him. "Erm... Instead, how about that ranch?" he asked, opting for the place that probably had more cows than people. "Alright looks like everyone is ready to go! I wanted to go back to the ranch anyway." With that Link lets out a Heeya and they went off. As they were riding along dodging the pehats Link thought to himself "It feels like its been forever since I last rid like this across hyrule field... The breeze feels so good." He looks back and says. "Everything going good back there?" As Kafei puts his mask on he feels a extremely strong pull coming from behind a boulder that is placed by the source of the energy. "Well there's our entrance... Hmm... I don't have any bombs, but I have a perfectly good alternative." As he says that he puts away his great fairy mask and pulls out a mask that had a skull and crossbones on it with a blue hue to it. "This is the bomb mask... It'll hurt me since I don't have any means of protection but...." *BOOOOM* as the boulder falls to pieces and the entrance to the fountain opens up. "Doing just fine~" Tatl said from beneath Link's hat. She was used to horseback riding. Or more, she was used to Link doing so. All she ever did was sit under Link's hat, which mysteriously never blew off, no matter how fast Link was riding, so it was a convenient place to stay. The Skull Kid, however, was clinging to Link, eyes squeezed shut. He'd ridden this horse full-speed once before, but then it had been easy, perhaps because of the mask. Now, though, he was terrified. "C-can we slow down?" he asked. "Ah! That's dangerous! You have to make sure you don't over do it," Navi then noticed an entrance, "it's open! The great fairy must be inside! Let's go, I'm sure she can also heal your wounds." Navi flew inside the cavern, which held a large, glimmering foundation on the inside, full of delicate pink healing fairies, the great fairy resting within. Link looked back a little surprised. "Alright skullkid I'll slow down a little, we're almost to the ranch anyway. Don't worry about the people at the ranch, since your my friend they won't mind you at all in fact you might get to pet some of the animals. In fact I can persuade a cow to give us some Lon Lon Milk." "Don't worry about me, that was nothing." Kafei walked into the fountain with the fairies all around him. A few come an circle around him healing the minor wound he sustained from the bomb mask explosion. Before him the Great Fairy floated in front on him with a smile on her face. "Sounds good to me," Tatl said. "Just make sure to share." It wasn't much longer before they got to the ranch. The Skull Kid was just thankful to have his feet firmly planted on the ground once more. "So this is the ranch?" he asked. It reminded him quite a bit of Romani Ranch back in Termina. "Ahhhh we've finally arrived! This is Lon Lon Ranch everyone, home of the famous Lon Lon milk. 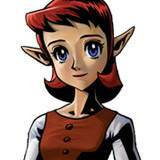 This is also were epona here was born, I used to visit her all the time with her caretaker Malon." Link pulls out his ocarina and started to play Epona's song. All of a sudden he started to hear someone else return his song as he approached a figure playing in tandem with her. Tael found himself rather comfortable on the ranch. It was peaceful, and not very populated. The grass was completely green, and clucking from CuuCuus(sp?) could be heard in the distance. Many horses galloped along the center of ranch, where a gate rested. Past the barns, where cows could be heard making noises, a girl with red hair rested. She seemed to be singing a song, one that matched Link's. She had bright eyes and appeared very joyful. 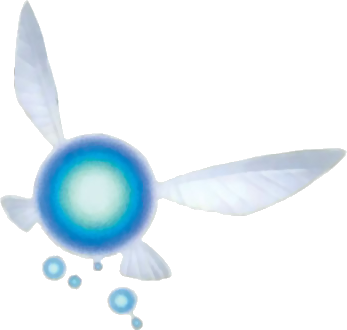 Navi looked up at the great fairy she had visited so many times in her travels with Link. The great fairy. 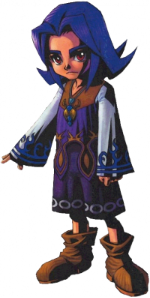 She was very kind and beautiful, and she hoped that she could help aid in Kafei's quest. She awaited to hear the fairy's wisdom. "It's fairy boy!" She responded, "how have you been fairy boy? I haven't seen you around here in a while. How is Epona? She's such a good horse." "Haha it's good to see you too Malon. Epona is stronger then she ever has been just look at her go! I'd like you too meet my new friends skull kid, tatel and tael. I met them on my travels and they're friendly. How have things on the ranch been?" As Link takes a swig of some Lon Lon Milk. As the Great Fairy appears giving out her usual "ahahahahahahaha!" She smiles at the two as she lays over and speaks. "Welcome to my fountain Navi and Kafei. I can see that the two of you have traveled very far both searching for something I'm sure. Kafei I can feel the malice in your heart longing for the freedom of your loved one. I know of a way you can free her. if you can reunite those who have been lost like the green boy did for you before, you'll gain the power to pierce any spell and wake up Anju. With that she healed his wounds and disappeared again with the "ahahahahahahaha..." as Kafei heard in his heart "The answer is closer then you may realize." The Skull Kid ducked his head in a shy greeting. He suddenly longed for the fields of Termina where there was no one to judge him. People in Clock Town had been mean to him initially because of his appearance, and then later for his pranks. He only realized now, belatedly, that he might get the same treatment here.